Qualification to the highest professional standards is helping Director Darren Bedson drive jobs and growth at Stoke-on-Trent based health and safety specialists, BPA Services. Darren has been accepted as a Chartered Fellow of IOSH (the Institution of Occupational Safety and Health) – an elite status in the industry. Further recognition has come with Fellowship of the International Institute of Risk and Safety Management. Darren heads the team at BPA Services alongside Finance Director Vicky Milward. 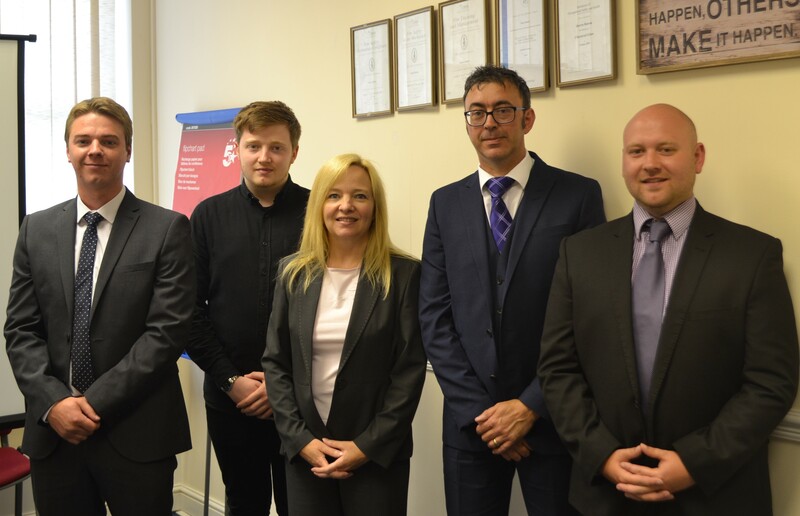 BPA Services was founded in 1987 but is going through a period of expansion, winning new contracts across the UK and bringing in new Health and Safety Consultant Ben Warrender. “We have made a substantial commitment to training and we believe this pays dividends in both our specialist work with our clients and growing the reputation of BPA Services,” said Darren. Ben and fellow staff member, Russell Barnett are IOSH technical members and Ben is working towards his diploma in health and safety from NEBOSH (National Examination Board in Occupational Safety) and Russell is currently working on completion of his NVQ Level 5 Environmental Safety courses. BPA has clients throughout the UK and locally works with organisations including Stafford and Rural Homes, Waterworld and Brenden Fern. Lawton Services of Knutsford Road, Church Lawton, retain the services of BPA for a health and safety support package.